This beautiful afghan square was inspired by a Victorian pattern that was done in a combination of crochet and tatting. 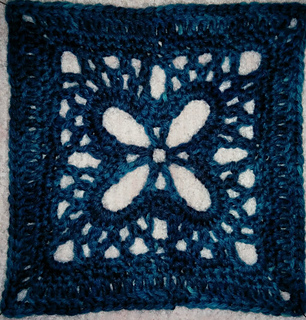 I took the basic design elements from this pattern and created this square, with its central motif resembling a butterfly in flight. This pattern will be offered free for the first 24 hours after it is posted!